The classic wing back style chair features a contemporary flair that is perfect for a accenting any living room or bedroom. 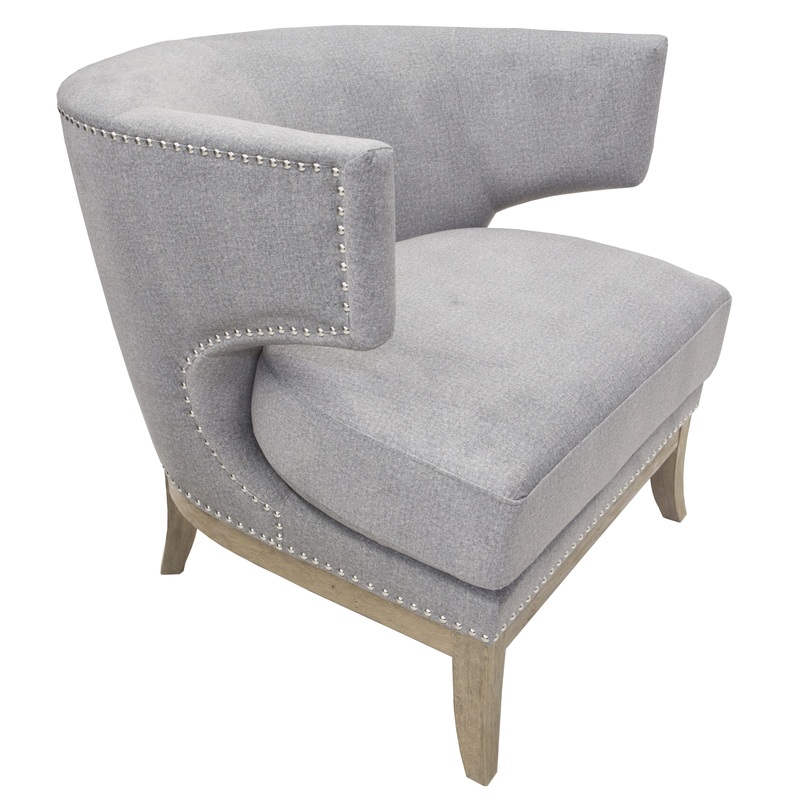 This grey upholstered chair with nail head trim and curved design adds a touch of sophistication to your space. 35.75" x 30.25" x 29.25"